While many sectors of South African business continue to struggle, one stands out proudly, even majestically, from the rest – tourism. It forms an integral part of the South African economy as the country remains one of the prime destinations for overseas visitors and local dwellers. And, as South Africa’s economy battles through tough times – recently taken over by Nigeria as the leading African economy – tourism continues to thrive. Over the years, South African tourism has been put to the test on more than one occasion – none more so than during the 2010 World Cup – and each time it has come up trumps. Bring it on – we can handle it! Tourism, of course, is about far more than international visitors holidaying in sunny South Africa. Business events are at its core, bringing millions into the coffers. Kotze-Nhlapo’s experience in this sector is vast. 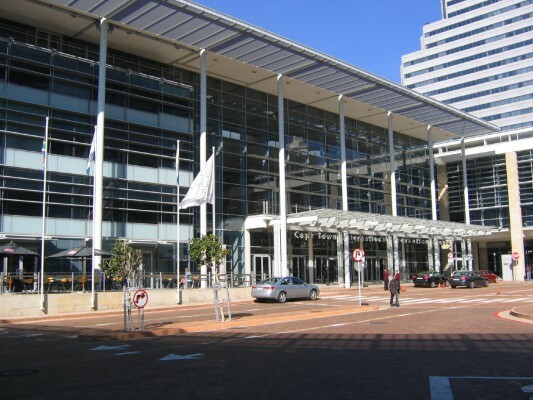 The movement to promote South Africa as a business events destination began in Cape Town with the Cape Metropolitan Council in 2004 – a process in which Kotze-Nhlapo was involved. The council later moved into the destination marketing organisation, Cape Town Routes Unlimited. 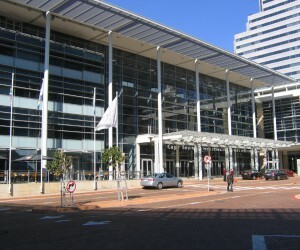 Other cities followed Cape Town’s example, and soon Johannesburg and Durban had convention bureaus. While this was a positive for South Africa as a whole, there were issues – the main being “lack of co-ordination,” she says. In those early years, Cape Town was ahead of the pack, often hosting up to 75% of the country’s meetings, according to Kotze-Nhlapo. When a city decides to build a convention centre, many things need to be considered – none more so than the infrastructure in the surrounding areas. In order to attract the top international and local businesspeople to your city/country, you will need world-class facilities, and this is something South Africa offers in abundance in most cases. Most of Africa is seen as being ‘third-world’, but with South Africa’s improving infrastructure, balmy climate and fantastic leisure destinations, it has become a popular destination for business travellers. She says business tourism puts the focus on three things: “numbers, economic input, and how many bed nights we sell”. With business events, the focus is on much more than that. As tourism is to business events, these three ingredients are a byproduct. “Our focus is on knowledge of the economy, about business and investment – it’s about building a legacy,” she says. According to Kotze-Nhlapo, Australia set the pace in this regard, and South Africa followed its example and now also calls this segment of its tourism offering ‘business events’, as does Canada. With the birth of the SANCB, the objectives needed to be streamlined in order to take maximum advantage of the opportunities available. Knowledge conferencing, she says, pertains to the SANCB’s objective of bringing highly educated leaders from different industries to SA in order to “expose Africa and South Africa to that sort of education. Recent years have shown us that Africa is becoming a larger and larger player in a multitude of sectors. We are a big emerging market in the global investment game, and there is little doubt the country’s many business events have played a role in this. Indeed, says Kotze-Nhlapo, foreign business people are now paying for partnerships in order to have ‘African Titles’. While this was part of the SANCB’s strategy, the organisation initially expected it to be of “very low potential”. However, experience has shown it amounts to “a little bit more than that” and Kotze-Nhlapo says in the beginning they just wanted to make sure the infrastructure, knowledge and ability to host an exhibition were there. The results have been surprising, to say the least. Besides the ‘knowledge sharing’ that goes with business events, there is a massive upside for tourism in South Africa. According to statistics, up to 40% of people who attend a business event as a delegate in SA return with their families for a holiday within five years. That’s a big number if you consider South Africa hosted 94 000 association delegates in 2013. Many delegates bring a partner along to “have a jol, while their partner is busy with their meeting,” she says. The SANCB has targets it needs to achieve on an annual basis. The average association meeting globally is 600 delegates and, says Kotze-Nhlapo, “the fact that delegates have to pay and fill in a registration form helps us count the numbers. This year’s target is 58 000 delegates”. In fact, she believes an average of 600 delegates is very low for South Africa and she estimates between 900 and 1 000 would be more realistic. While the 2013 tally of 94 000 delegates was fantastic, it will be difficult to sustain.Kotze-Nhlapo says the government expects that number to increase year-on-year. “Our initial target was to host 58 000, so maybe we will go back to that number this year because some of our meetings are annual, others are every four years and some every three years or biannually”, she adds. The SANCB is currently busy with a study on how much business event delegates spend during their stay. This study is being undertaken for two reasons: to help the industry know what its contribution is and to show its return on investment, in the hope it will receive more funding from the government. The improvement in South Africa’s ranking on the International Congress and Convention Associations (ICCA) global ranking is there for all to see. Twenty years ago, South Africa hosted around 12 meetings, compared to last year’s 118. Consequently, South Africa rose from 37 to 34 on the list. In Africa, Cape Town is ranked at one; Durban at two; and Johannesburg at fourth. Tshwane finds itself seventh, while Stellenbosch makes it into the African top 10 in the final spot. However, business events consist of four ‘divisions’: meetings, exhibitions, incentives and conventions. If you look at the meetings and exhibitions on their own, “Johannesburg is miles ahead in South Africa, but the ICCA only looks at association meetings – you will find a limited number of corporate meetings in Cape Town,” says Kotze-Nhlapo. Unlike other sectors in the South African economy, the SANCB shot the lights out with its target last year – all this despite only having been up and running little more than two years. Its achievements are something South Africa should be proud of. Kotze-Nhlapo says that she owes a huge debt of thanks to the industry, which has been behind the SANBC and has supported it throughout.